Today we’re remembering our fathers and though mine is gone, I can never forget his love, influence, or smile. If you knew him, you’d know what I mean about the smile. It’s the small things I cherish. And the memories of him that remind me of how wonderful he was to me, to us all. He carried on an almost 60 year love affair with my Mom. She’s a peach, and he wasn’t always the most sensitive of men, so he’d be the first to share the credit for ‘their’ marital longevity. He worked hard but loved to have fun. A hunter and fisherman, he took up Duplicate Bridge at my mom’s urging. He played with gusto and what he lacked in patience and deliberation, he made up for with a gambler’s instincts. My siblings have their own memories, but I hung out with dad most Saturday mornings cleaning the Laundromat he owned with my grandfather. Afterwards he’d take me to Mrs. Simon’s Cafe for breakfast and then we’d stop at my grandparent’s house for a quick visit. Driving to the dump every week provided another opportunity to be with him. He taught me to sort copper fittings, light a pilot light, bait a hook with a live worm (yucky), start a lawnmower, drive a 4-on-the-floor pickup truck, and not quit until a job was finished. He brought home scrap lumber for our tree houses. He gave me freedom in the form of a Schwinn bicycle. And when summer heat threatened to melt the pavement, he’d take us all to the A & W Drive-In for icy cold root beer floats. Really, what more could a kid ask? 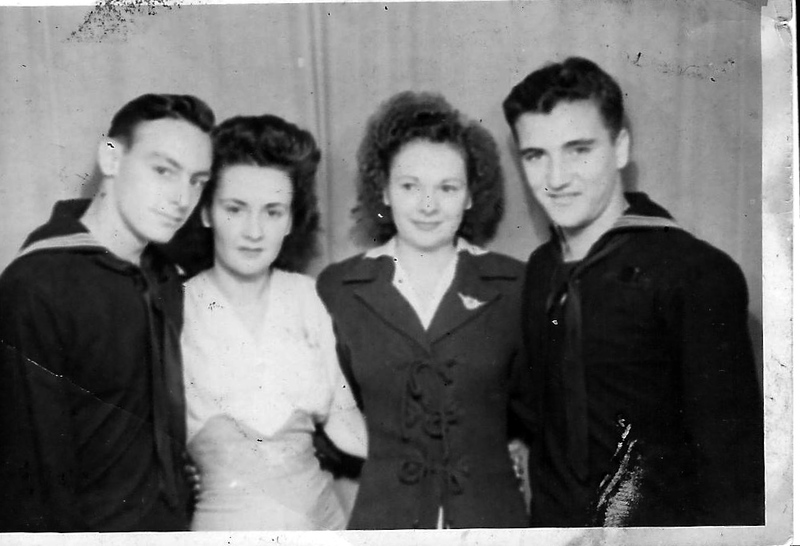 My Dad was part of what Tom Brokaw called The Greatest Generation. We just celebrated the 70th Anniversary of D-Day. 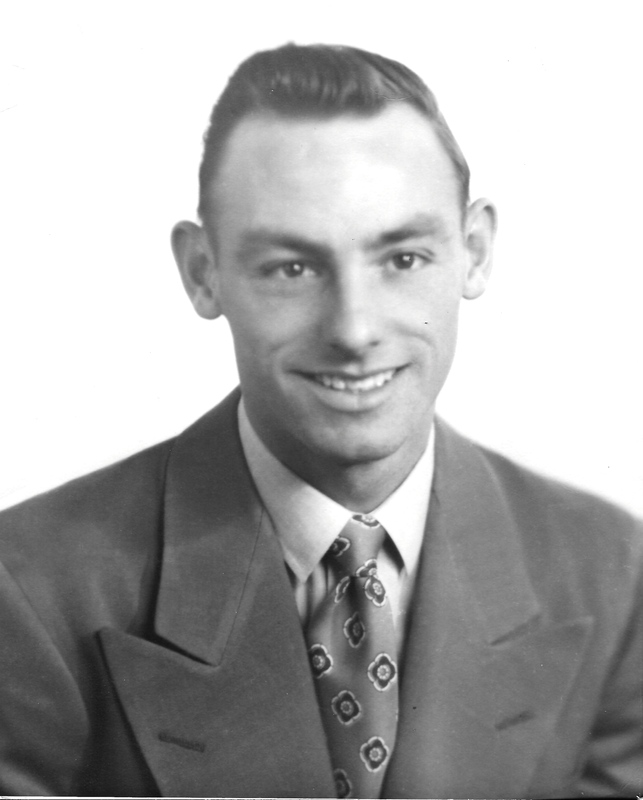 Dad was just 17 when he enlisted in the US Navy and sailed under the Golden Gate Bridge, on his way to fight in the Pacific. Assigned to a Supply Depot in New Guinea and left there alone one day, he gave tribesmen American cigarettes when they brought heads to trade. He hoped he’d never be left alone there again! An older guy had shipped out with dad and they were stationed there together. He made it his ‘other’ mission to get dad home safely. Dad kept a photo in his wallet, old and bent, and stamped on the back: PASSED BY NAVAL CENSOR. One day at the grocery store my youngest daughter saw it and asked who those people were. My dad told her it was a guy he knew in the service and two women they’d met on leave in Australia. Amanda was a little indignant, thinking this unfair to my mom. But mom never for a moment worried about my father’s love or fidelity. She knew the photo was a tie to a time both harrowing and dear in dad’s memory. On leave in Australia dad and his friend had gone to the USO for drinks and a chance to dance with real live girls. Dad was a good dancer and when his partner got tired she told him to, “Go jazz me sister, I’m all knocked up”. The sisters are immortalized with dad and his ‘protector’ in a photo he carried for the rest of his life. To a kid from a rural California mountain town WWII was a defining life event. I read an article about the men who fought to give us the freedoms we enjoy. What they shared was transformational, and so it’s not surprising that many embraced similar lessons and lived by a common code thereafter. I knew other men, the fathers of friends, who shared these noble traits with my dad. I see my dad’s personal code of conduct in these 7 Lessons in Manliness. We could all benefit from a adopting those lessons. In honor of my dad, I’m going to embrace these lessons and remember his example, and his smile. Very nice tribute to a great man. 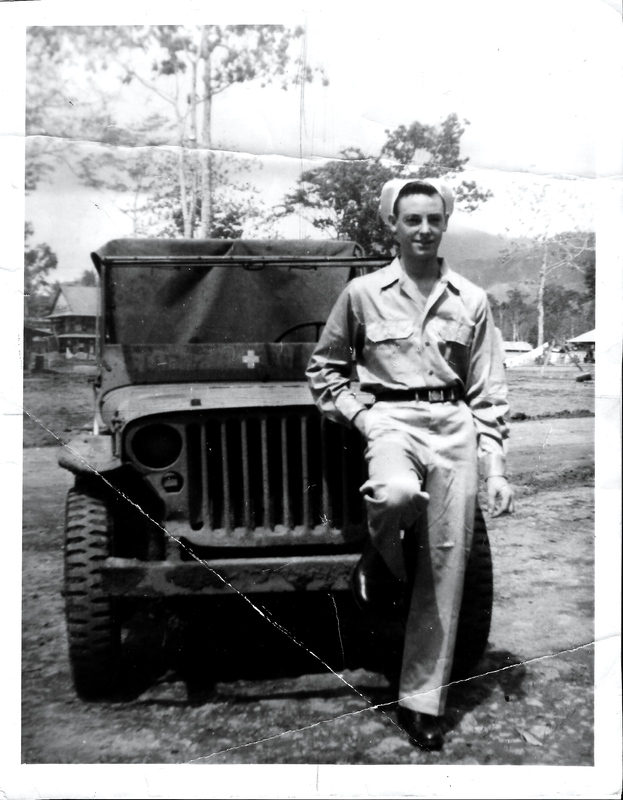 My father was also on New Guinea during WWII, in the Army. It’s impossible to truly understand what that must have been like. I’m moving onto those lessons now. I think the army must have been very difficult and dangerous duty there Dan. My Dad never spoke of the frightening parts, his stories were about the men he met and served with. He used to say the only thing he learned to like while overseas was coconut! What a great American! I thank him and your family for your service. Indeed, they were the greatest generation. Well Sue, he was a wonderful father and a real blessing. Great tribute to your Dad Kelly. Very nice!!! Thanks Levi. He was one of the greatest blessings from God in my life. I have such peace knowing he is with the Lord and we’ll be reunited. That’s wonderful on both counts. This gives us great hope in passing from this life. Have a great day Kelly!!! writing what tons of people need to hear always… Carole. Will do. We have to arrange a photo exchange next time we come up. I have 1 only photo of your Mom. I had hoped you had a box full of old photos maybe from Grandma or your Mom. Thank you for sharing this Kelly! Such a joy for me Jennifer. Glad you liked it. Thank you for sharing about your dad! He was surely a great man! What a great post. Inspiring man and beautiful writing! Thanks for that read. I hate that we are slowly losing that generation. Great men and women. May they rest in peace. Thanks for remembering the women who were their mothers, wives, sisters, fellow service members, and friends. Absolutely! Couldn’t have said it better.